Everyone is talking about sewing thanks, in part, to the Great British Sewing Bee. 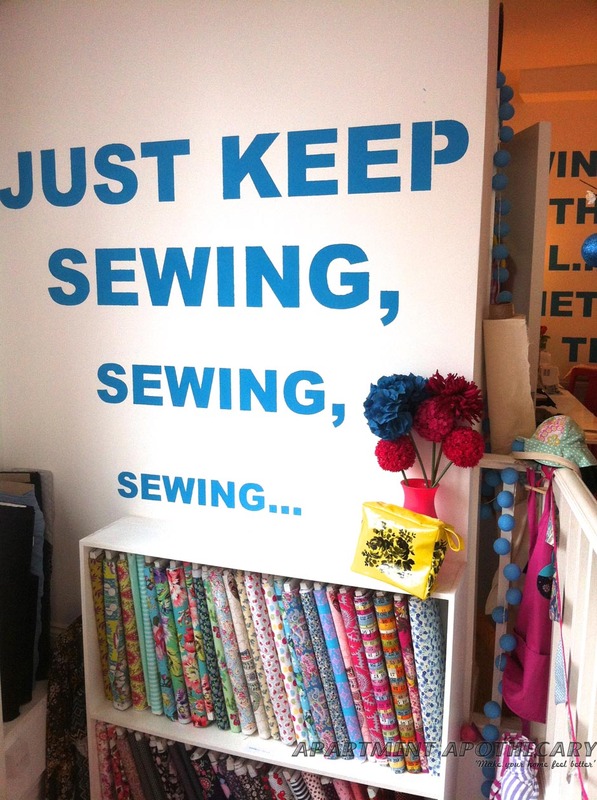 I have recently started sewing and if you are thinking about it, I urge you to go for it! I asked my boyfriend, Jules, to buy me a sewing machine for Christmas. At the time, I didn’t know how to sew, but I was convinced that, given the chance, I would love it. He very kindly did buy me a machine and as I predicted, I do love it. The moment of reveal is so satisfying and the creativity involved in choosing fabrics is one of my favourite parts of the process. That being said, it is not something that comes naturally to me; I would describe myself as a ‘sloppy sewer’ because generally in life I like to get things done as quickly as possible, regardless of the ‘finish’. 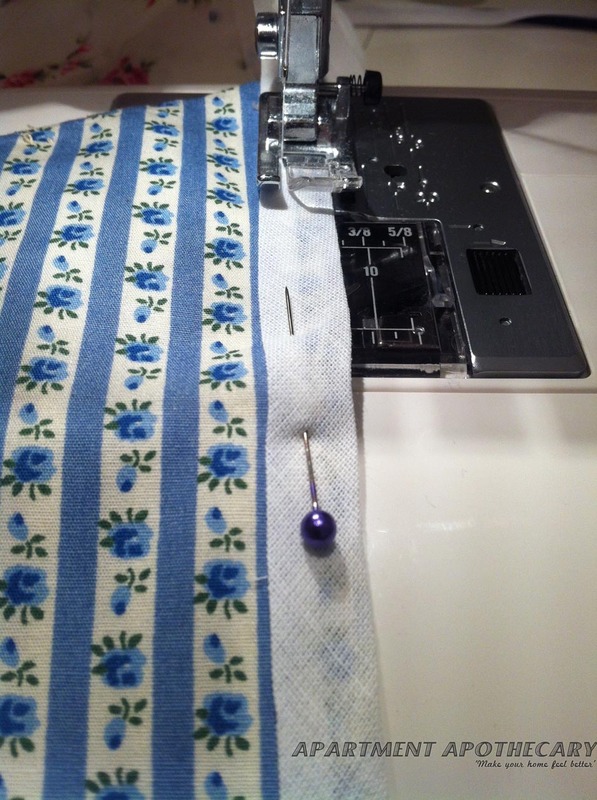 Sewing requires a huge amount of precision and patience so it is a good skill for me to practice. I decided that I needed to do a sewing class to get me started so I didn’t pick up lots of bad habits. 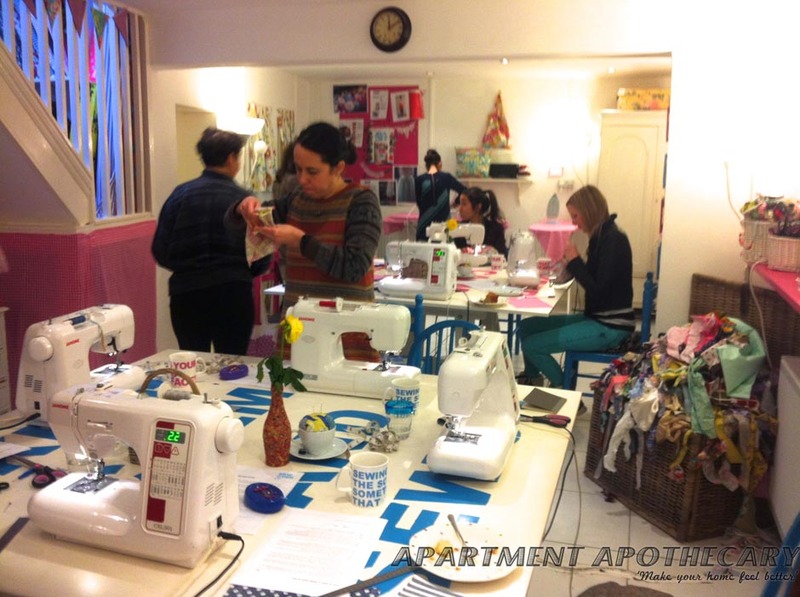 So, me and my friend, Farah, went along to Sew Over It, a lovely sewing cafe in Clapham run by Lisa Comfort. 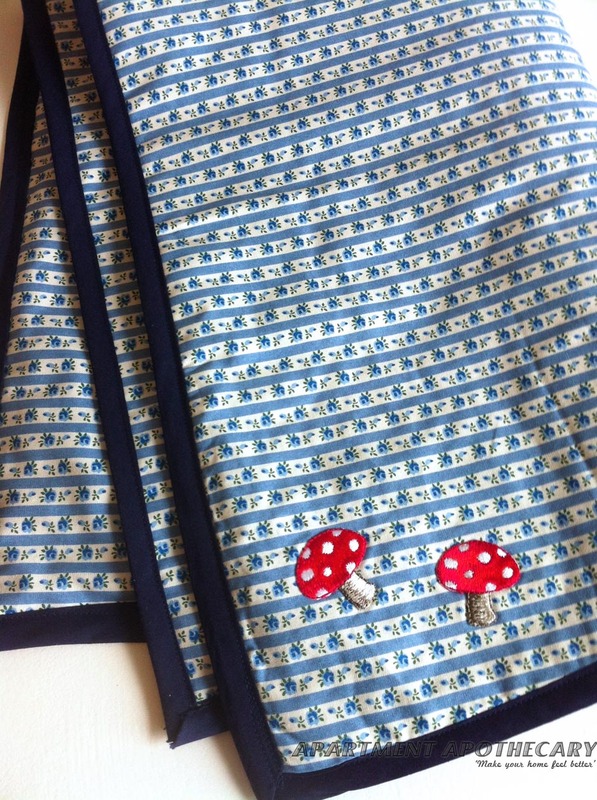 We did the ‘Intro to Sewing’ class over two Sundays and what a delightful time we had! 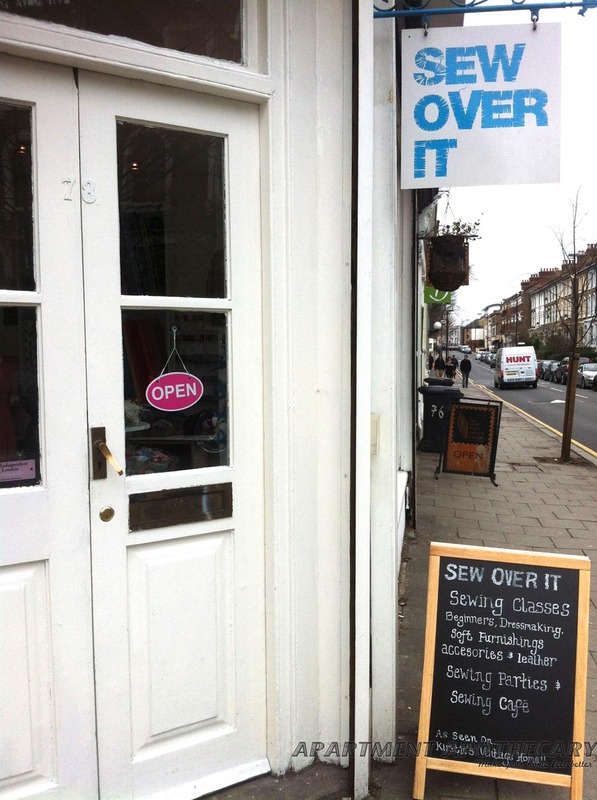 Sew Over It is nestled in Clapham North. 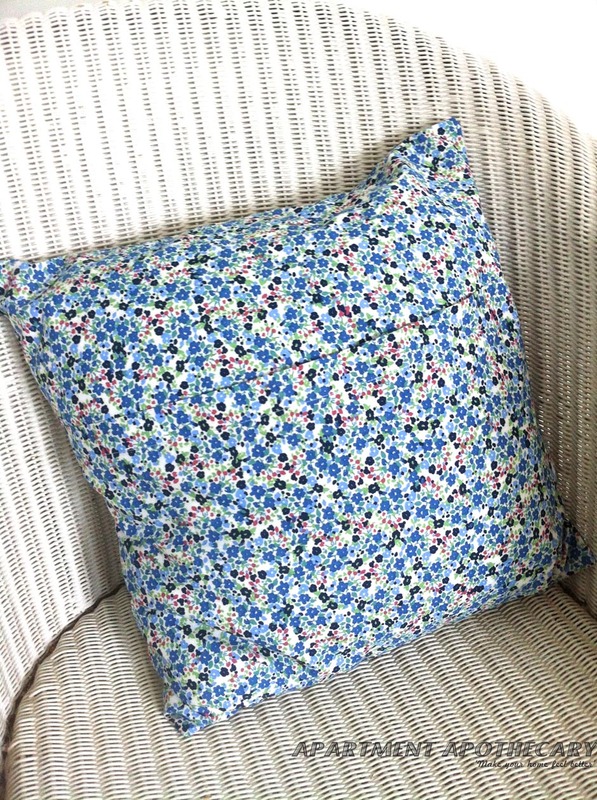 They stock a delightful range of fabrics to use during the class but also to buy online. The cafe is lovely and homely, just what you need for a good day’s sewing. 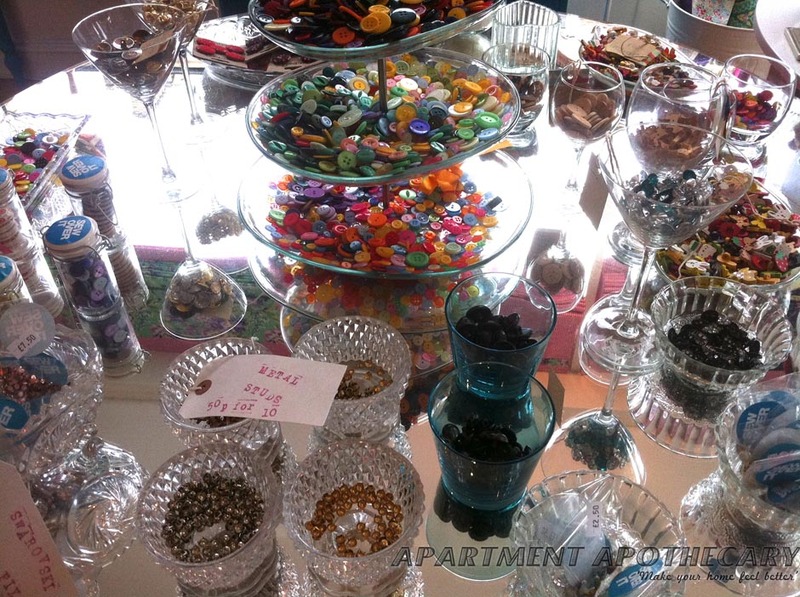 They stock basic haberdashery bits as well as lovely adornments. We started the first day by learning how to make a basic cushion. This is my friend Farah concentrating very hard, whilst trying to resist eating her cake. The tutor, Dominique, was lovely and her pace was perfect. She was also very patient with us when we went wrong! 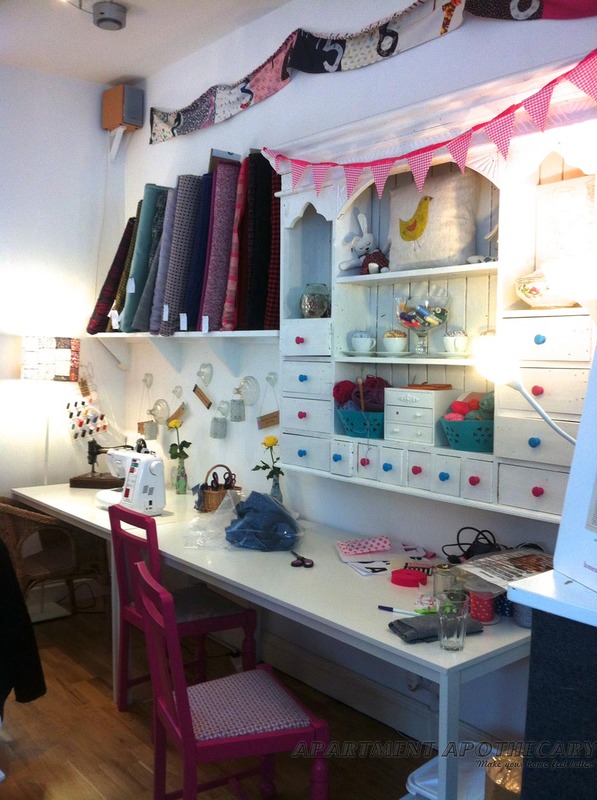 The downstairs studio is a great place to sew, whilst doing a lot of chatting. We met some really interesting ladies. 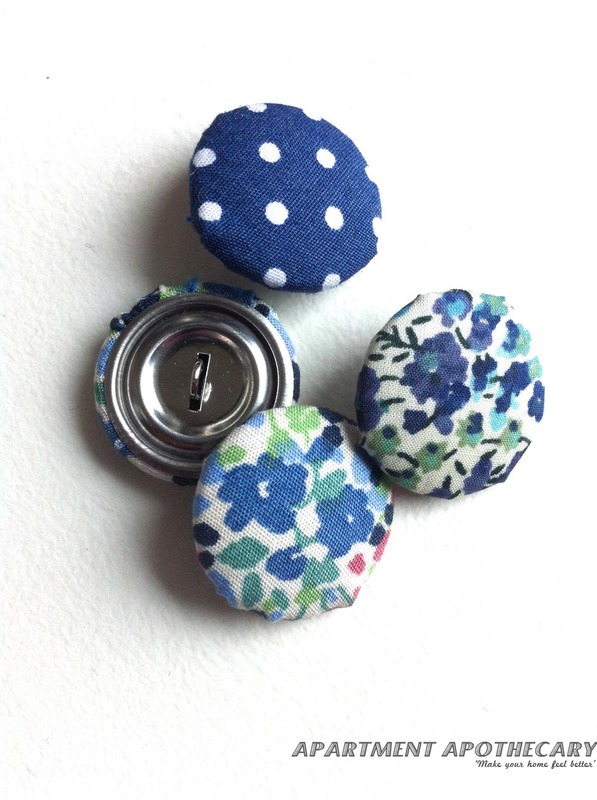 I loved learning how to make covered buttons…so pretty! 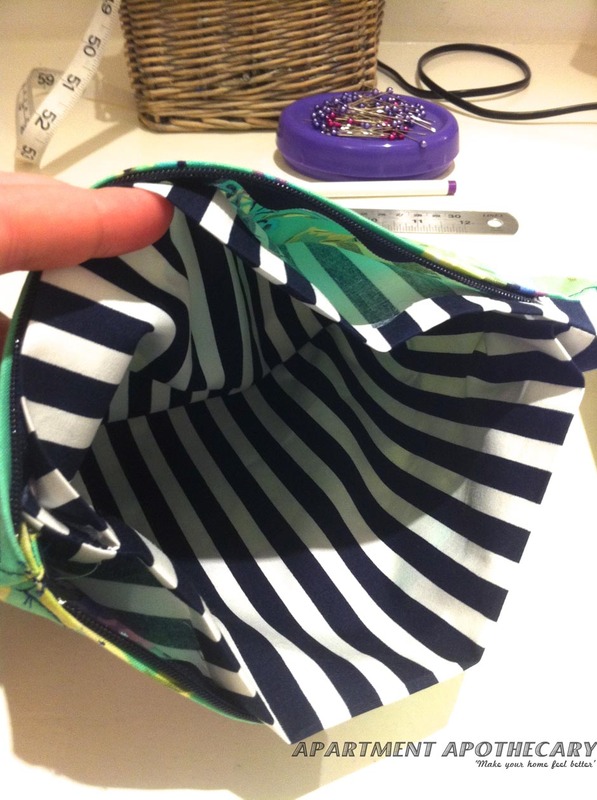 On the second Sunday we also learnt how to sew a make-up bag, although I still need lots of practice sewing in zips. I also had time at the end of the second Sunday to put my new-found skills into practice and make some bunting. 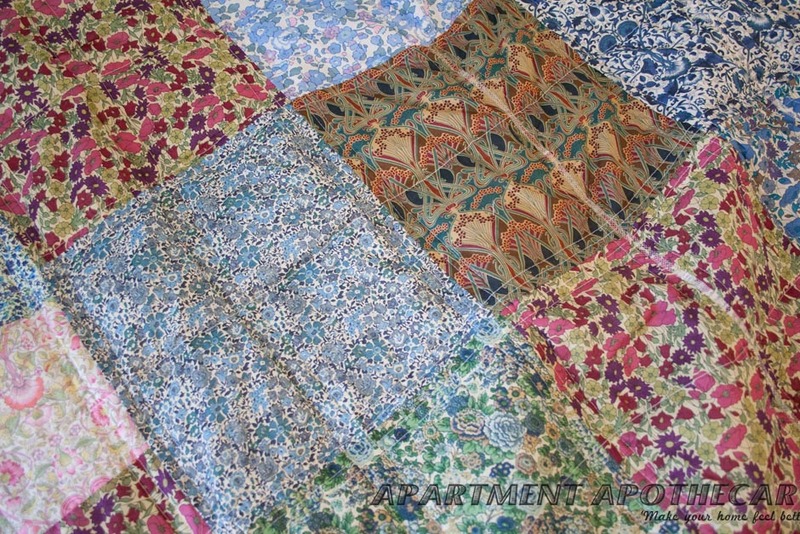 I have made a Liberty print patchwork quilt. Follow my tutorial if you would like to make one too. I also used Liberty print to make this cot tidy for a friend’s baby shower. Follow my tutorial to give it a go. I started this bunting during the class and finished it at home (20 meteres worth!) This is a really good place to start as you can practice basic skills without it mattering too much if you go wrong – follow my tutorial . I’ve also sewn a couple of baby blankets – tutorial to come! If you’re looking for a new hobby, give sewing a go. I promise, you won’t be disappointed. Thank you lovely ladies at Sew Over It.